Best way to play GW2. 🙂 Just run out there and go for whatever looks cool around the next corner. Seriously, GW2 does a really good job of pretty much presenting you with things to do wherever you are. It gets better once you’re being down-leveled, but the aim of GW2 was, in large part, to try to minimize the wall between “activities that are efficiently worthwhile” and “doing things in the world”. 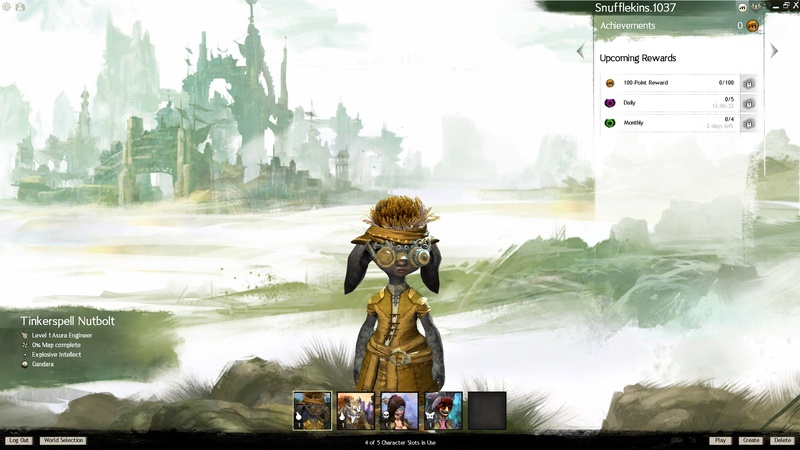 While there are certainly more efficient means of achieving goals, GW2′s approach, in theory, is to do everything they can to provide a world that exists as opposed to a world that is just a tool from which you squeeze your grindy experience. If it’s successful is another question, but the learning curve for GW2 is immensely low comparatively. With season 2 beginning very soon ANet has been seeming to have a hopefully better grasp on living world content and other longer-term concerns.